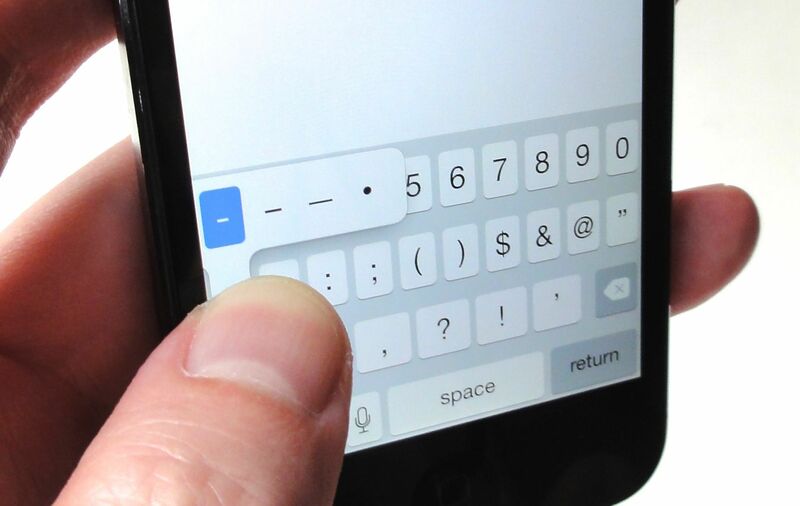 Wish it were a little easier to type in ALL CAPS on your iPhone, or ever get stumped while looking for the em dash? What about typing letters with accent marks, or dealing with cumbersome URLs? Or maybe you’re just hankering for an alternative to tapping on a slippery glass screen. Want to type a URL directly into the address bar in Mobile Safari? Don’t bother with laboriously tapping in “.com” or “.net”. Never type out dot-com or dot-org or dot-whatever ever again. 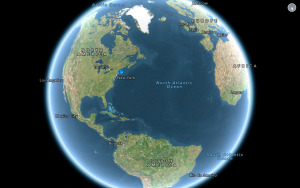 Instead, just tap and hold the “.” key; when you do, a pop-up balloon will reveal a series of shortcuts, from .com to .us. Don’t get caught skipping the accent grave in “voilà” while typing that email on your iPhone or iPad. 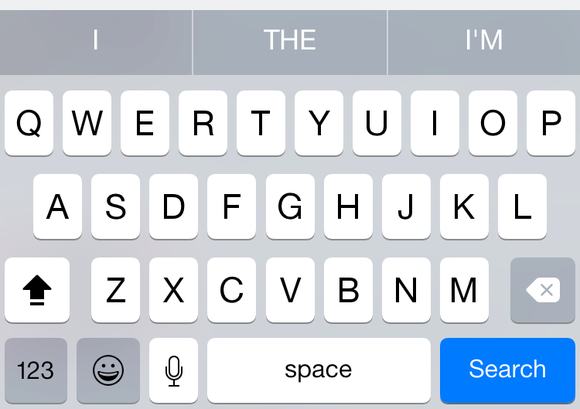 iOS 8 finally allows third-party keyboards, like the excellent Swype. Sick to death of painstakingly tapping out messages on your device’s touchscreen? Try swiping instead of typing. 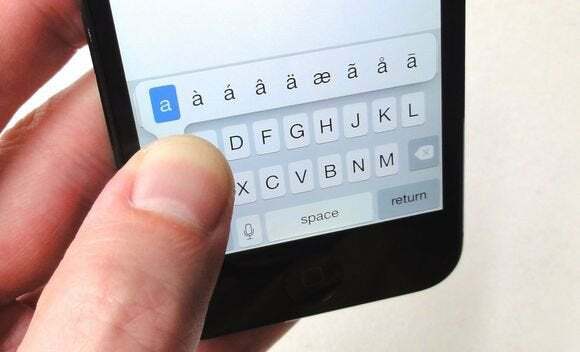 The standard iOS keyboard lacked the swipe-to-type capabilities our Android friends have bragged on for years—until iOS 8. 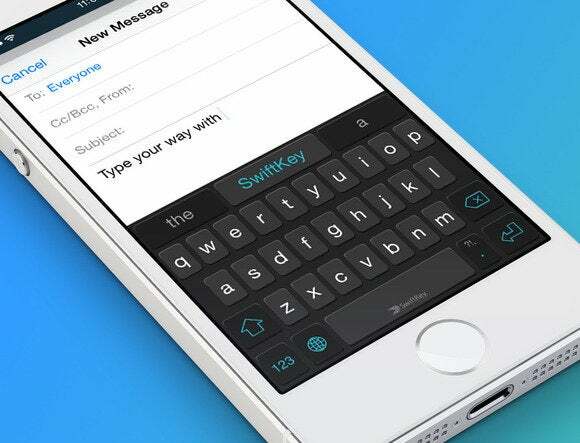 That update finally brought third-party keypads—particularly Swype and SwiftKey—to the iPhone and iPad. See the Shift key? Just double-tap it. When you do, a little horizontal line will appear near the bottom of the Shift key, indicating that you’re in ALL CAPS mode. Starting with iOS 7, Apple made the Shift key's different looks (for lower-case, upper-case, and all-caps) much more subtle, so much so that an entire year later in iOS 8, I still get it wrong sometimes. If you have QuickType turned on in iOS 8 (Settings > General > Keyboard > Predictive), it's easier to notice when the Shift key is in Caps Lock mode. If you double-tap your Shift key and nothing happens, head to Settings > General > Keyboard, and make sure "Enable Caps Lock" is switched on. I’ve rarely met an em dash I haven’t liked—and come to think of it, I’m also a sucker for bulleted lists. How does someone like me survive typing on an iPhone? Easy. What’s a text message without a smiley? Good question. Luckily, the iOS keyboards come with more emoji than you can shake a stick at. The world is not running out of emoji anytime soon. First you’ll need to enable the emoji keyboard: In Settings > General > Keyboard, tap Keyboard again, then check to see if “Emoji” is in the list of installed keyboards. If it's not, tap “Add New Keyboard” and find Emoji in the list. Now whenever you're using the keyboard, you can tap the key with the globe icon, and feast your eyes on all the gorgeous emoji ready to unleash. 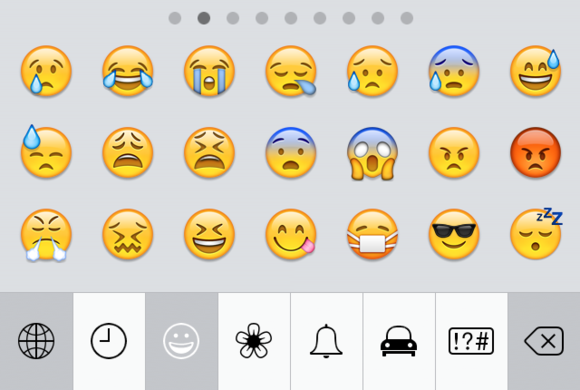 Unfortunately, you can't reorder them, but the first tab keeps your most recently used emoji at your fingertips. 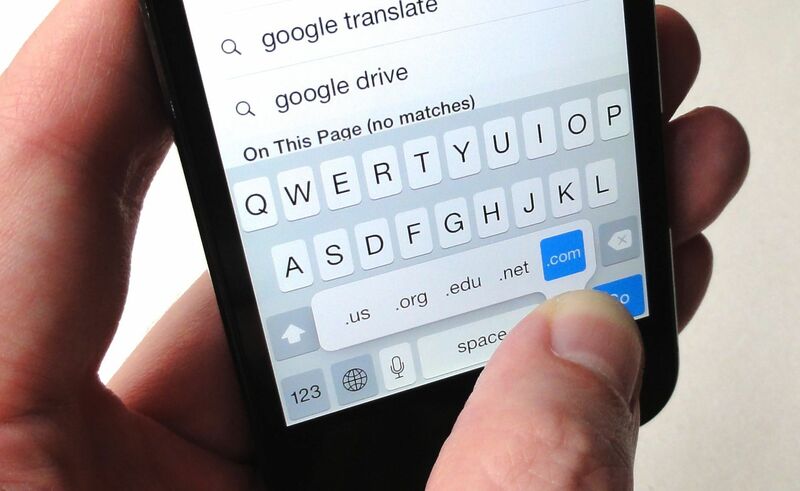 It’s easy to forget that both your iPhone and iPad will take dictation whenever you’re not in the mood to type. Just tap the little microphone icon on the keyboard, to the left of the space bar. Press and hold the gray microphone button to the right of the message box to record an audio message. 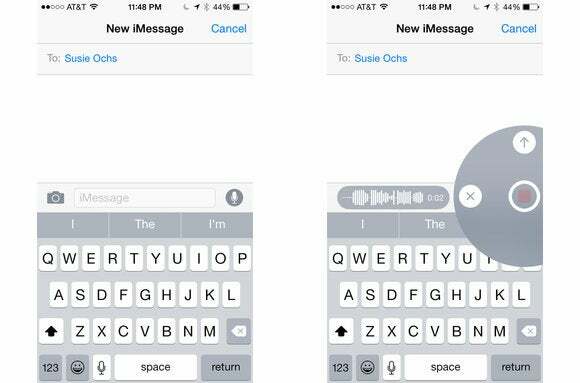 The white microphone next to the space bar lets you dictate a message that will be translated to text. As a bonus, the iOS 8 Messages app has two microphone buttons. The rectangular white microphone button to the left of the space bar takes dictation as usual, translating your words into text. But if you're communicating with another iMessages user, you can tap and hold the gray cicular microphone button to the right to the iMessage text box to record a voice message that's sent as audio. 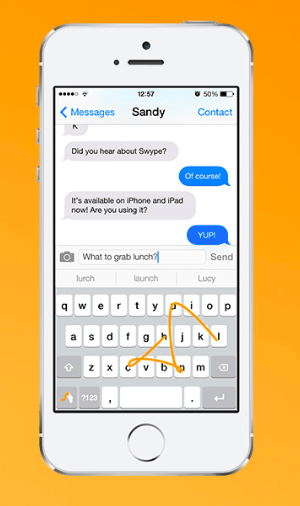 You'll save typing time and your messaging buddy get to hear the joy, sadness, or utter ambivalence in your voice. It's fun. There's really no reason to switch from the keyboard's letters layout to its numbers layout if you only need to type one measly numeral or bit of punctuation. Instead, press the button with the numbers on it, but don't pick your finger up off the screen. Instead, slide it to the key you want to type, and then lift your finger off the screen. The number/punctuation will be typed and the screen will snap right back to the letters view. Of course, to type a simple period at the end of your sentences, you don't even need that slide trick. In Settings > General > Keyboard, there's a switch to enable ". Shortcut." That's the period shortcut—once it's enabled, you can just type two spaces at the end of a sentence to automatically make a period. Did we miss any of your favorite keyboard tricks? Let us know in the comments!